When you think ‘animated video’, you probably immediately start humming the Frozen soundtrack. Sorry about that. But animated videos are more than just funny snowmen and songs that get stuck in your head for seven years; they’re also great ways to communicate in a business setting via an animated explainer video. 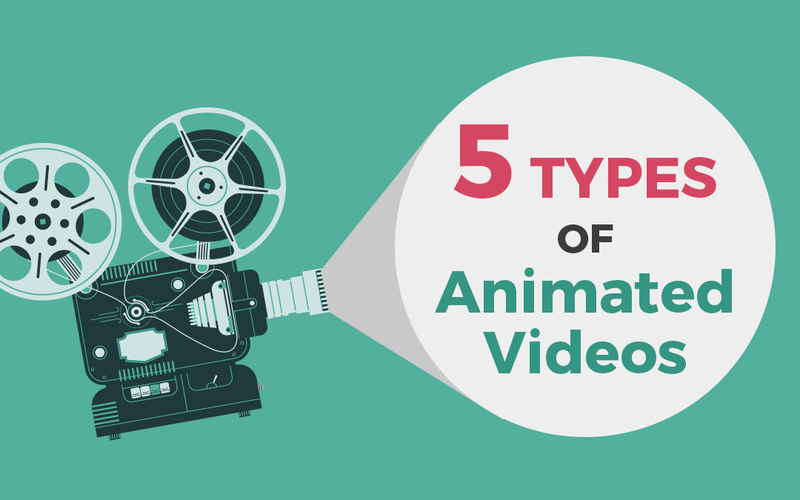 When it comes to choosing the right animation style for your business, you’ve got a few options. Here we break some of them down. As the name suggests, traditional animation (or what’s sometimes called cel animation), is one of the older forms of animation – and it’s pretty time-consuming. Just like Walt Disney and friends used to do way back in the day, traditional animators draw every frame of every sequence by hand which means by its very nature they need to have very strong drawing skills (although to save a bit of time, traditional animation can be carried out on a tablet these days too). An animator who creates 2D computer-generated animations inherently uses the same processes as a traditional animator, except they benefit from the speed and accessibility that a computer and accompanying software offers. 2D vector-based animation gives animators who don’t have exceptionally strong drawing skills more options and freedom to create characters because they can create rigs or human-like templates, then move the body parts individually instead of drawing the character over and over again. This style of animation is much quicker that its traditional brother, but it’s still pretty labour-intensive. 1995’s Toy Story reinvented Hollywood by being the first feature-length computer-animated film. Fast-forward more than 20 years and virtually every big-budget Hollywood film includes some degree of computer animation. But 3D animation isn’t limited to the Oscars; it’s also prolific in animated videos used for business purposes. 3D animation essentially enables an animator to create a whole new world from scratch using state-of-the-art computer software. When creating characters, they don’t have to draw new characters for every frame of the video like traditional animators and 2D animators have to do; they actually create a computer-animated ‘person’ that has the ability to react and move within their computer world in the same way an actual human can in the real world. If you’re after an explainer video that features moving graphics, logos or titles, you’ll need an animator who specialises in motion graphics. Using computer-based video editing software, a motion graphics animator takes a stationary graphic and applies movement to it to create a moving logo, title sequence or video that can be used in business explainer videos, television commercials, even opening film titles. Motion graphics is the most common form of animation used in explainer videos and other commercial video work because even if an explainer video mostly incorporates live-action shots of a person carrying out some sort of action, chances are at least the title at the beginning and end of the video will be animated. Have you ever wondered how a video can show action of an inanimate object, like a Lego figurine walking from his house to his letterbox? Well, it’s probably stop motion. To create a stop motion video, an animator takes a photo of an object, then repositions the object ever so slightly before taking another photo. This process is performed over and over and over, so that when the photos are played back one after the other, in order, they give the illusion of movement. Stop motion is not a quick process and it requires meticulous attention to detail, but it is one that can create a beautiful product. Whatever kind of animated video you’re looking for, you’ll also need to find a reputable video production company with a lot of experience in this field. Stop the search: Onepost Video Production has a plethora of experience in video animation. We’ve worked with loads of businesses and brands to create engaging and entertaining animated videos that convert, inform and explain. Keen to take the plunge into the animated video world? Give the friendly Onepost Video Production team a call today – we’d love to discuss your next big project.